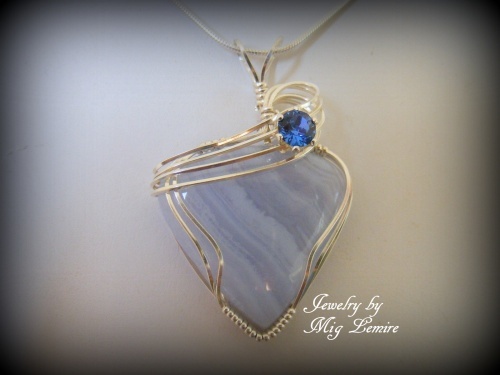 This Blue Lace Agate gemstone is framed in sterling silver and accented with a 1 carat blue sapphire Austrian crystal. Pastel lovers, this is for you. Piece measures 2" long from top of bail to bottom of pendant and 1 1/4" wide. Come4s with a sterling silver snake chain.